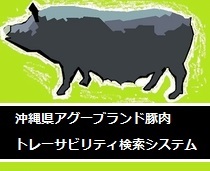 “Agu” meat qualities has the sweetness and the taste of marbled beef, compared to the pig generally sold the “Agu” has a better characteristic. 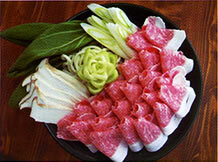 Compared to General pig meat(LWD), the marbled percentage( the percentage of fat in the muscle) is 5% higher. Compared to General pig meat(LWD), the temperature in which the fat melts (melting point of fat) 38.1 degrees which is low, so when put in the mouth fat will melt. It was judged the meat is soft and the fat has the sweetness and taste. Although the meat quality is very remarkable, since the body size is small sized, amount of meat is light. So the producer, with producer’s own methods and with the cross breeding with the west breed, was able to produce a “Agu” ’s meat quality and more amount of meat.